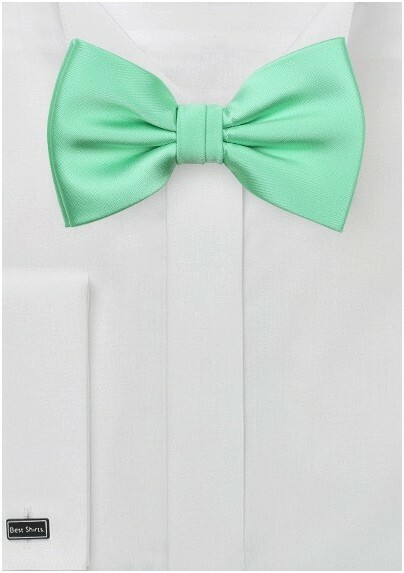 Looking for your next summer bow tie? 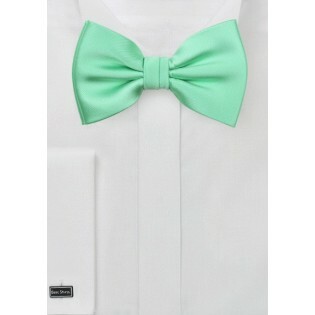 This popular Bright Mint color from Puccini is now available as a pre-tied bow tie. The bold solid color gives you ending options of suit and shirt choices. Whether you choose to wear black, gray, or blue, this bow tie will make a gallant and confident statement. Don't forget to add in the matching pocket square. This item is also available in necktie form, sizes for regular adult, extra long, and kids. Made from a durable, stain and wrinkle resistant microfiber.